Hunger Games Mockingjay Part 1 is the most anticipated blockbuster movie of 2014. Mockingjay by Suzanne Collins is the first half installment and the sequel to Catching Fire film. The Mockingjay Part 1 storyline revolves on the heroine Katniss Everdeen (Jennifer Lawrence) taking on her new position as a rebel in District 13 after shattering the games for eternity. Katniss leads the districts of Panem to revolt against the Capitol and fights to save Peeta (Josh Hutcherson). 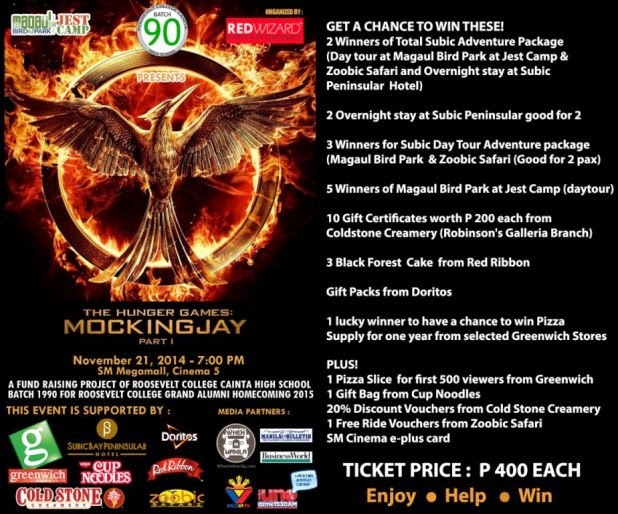 Get a chance to win FREE #MockingjayPart1 block screening tickets on November 21st at SM Megamall by just following Red Wizard Events on instagram and sharing the Mockingjay poster with the hashtag #JestHungergames. 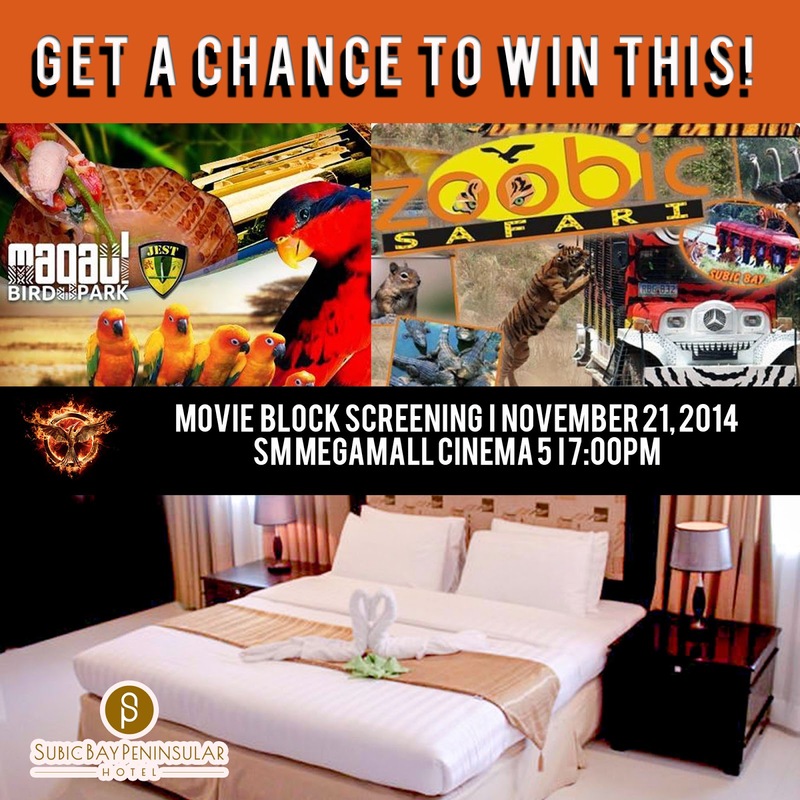 This Block Screening is organized by Red Wizard Events together with Magaul Bird Park at Jest Camp, Subic. Tickets are now available for sale at the Red Wizard Events office located at 503 Greenbelt Mansion, 106 Perea Street, Legaspi Village. 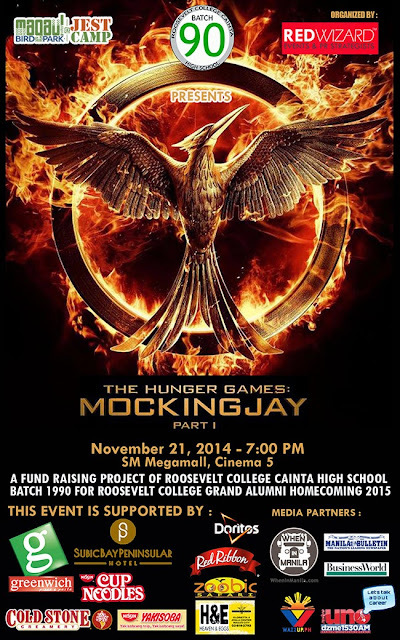 You may contact Elaine Cedillo via 218 9023 / 0917 9048777 / 0922 3844227 for more information. Two (2) winners will be announced on or before November 18, 10PM.